I've just joined - Thanx James ! Sorry I can't speak french, but anyway this is about music. Hasta lluego & Peep on Kickin' ! Thanks for your welcome. Sorry I can't speak french: Anyway it's great to meet and listen to other steelers (there's so few here...) I've been playing steel for about 4 years now and love the damm thing! 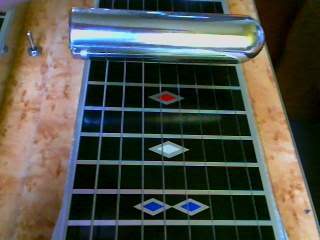 I've played spanish and lead guitar for over twenty years but there's nothing like the steel! James has kindly put up a few links of mine here until I can do this myself. Thanks for listening. I just saw someone put up some more videos.